Ajit Pathak, is a Father, Son, Husband, Passionate Roadrunner and Fan of Wearables & Hi-Tech. He is a Tech Sales Leader with 18 plus years in selling software solutions to large enterprises, and has worked with tech leaders like Sybase, SAP Oracle . His skills are in execution and perform in a complex environment with clear focus on driving growth, innovations, revenue, improving performance through discipline, strategy and planning. A jit is a strong believer that running is the best and cheapest form of high intensity workout and a good stress buster which anyone can adopt easily. He believes that a man works at office 8-10 hrs a day and Homemaker works 24hrs with no holidays no perks and no bonus. In entire life cycle, the one most important aspect of life is their Personal health which often gets neglected. Ajit says that the first step in women’s empowerment is taking control of your own health, respecting yourself and understanding and celebrating the value you bring to your family and society. 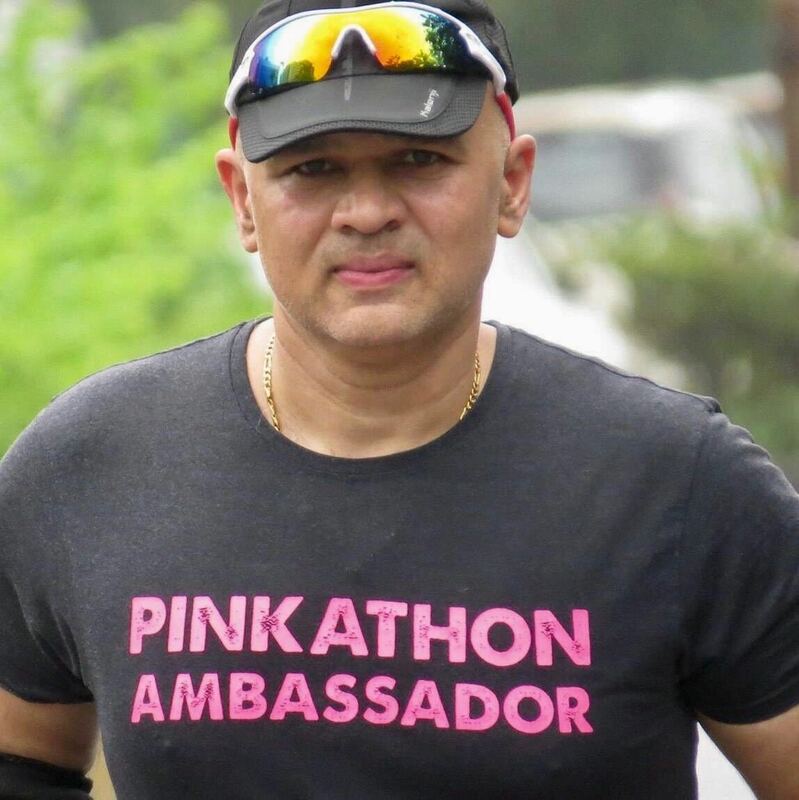 Taking his first step towards Women Empowerment and joining the #HeforShe initiative, at #PinkathonForever where he trains women of all age groups on how to run Injury free, run longer distances and stay fit. Ajit feels that anyone who thinks they can’t Run, can be trained, guided and coached on – how to Run . To make sure running doesn’t become monotonous, he and his team have created social media pages and chat groups, and have connected over 8000 women from various backgrounds- whether they are working or not working actively, to come forward and achieve their fitness goals. These support groups help people plan their daily runs, address all questions like injuries, hydration, diet etc. So far they have successfully trained women from all age groups from 7 years to 72 years . He believes that in true sense it is the beginning of a movement carried forward by a growing community of empowered women, who share a belief that a healthy family, a healthy nation and a healthy world begins with empowered women. Running sometimes becomes monotonous, we have also created WhatsApp groups and PinkathonForever FB page, we are connected to over 8000 Women of varied background Working & Non-Working, all of them have come forward to achieve their fitness Goals. The WhatsApp group allows them to collaborate within the group and plan their daily Runs. In the group we address all the Running related questions like injures, hydration, diet etc etc. We have successfully trained Women from all age groups from 7 to 72 years they all Run and Run Injury free, most of them have successfully Ran 0 to 10km and 0 to 21 kms injury free. In true sense, it is the beginning of a movement carried forward by a growing community of Empowered Women, who share a belief that a healthy family, a healthy nation and a healthy world begins with empowered women. 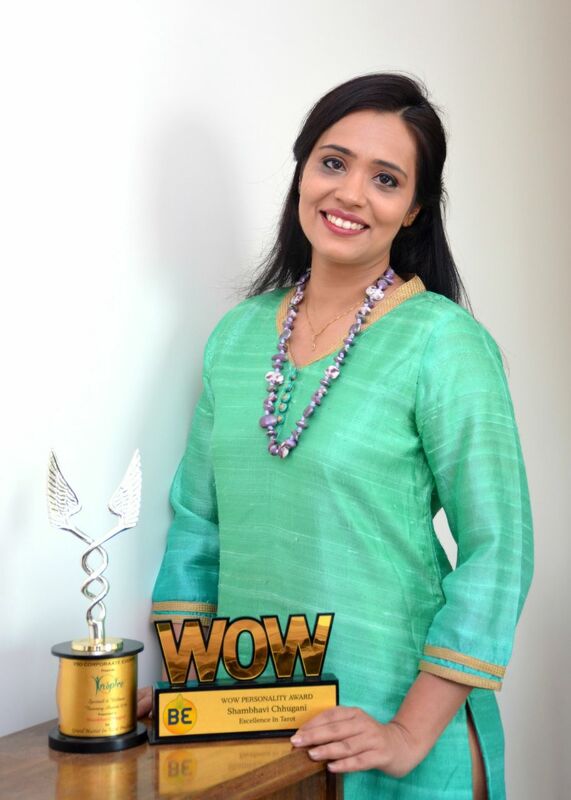 Anjali Gulati, a mother of two and a successful HR professional began her journey as a Mompreneur with People Konnect as a recruitment service provider in September 2009 with an aim to provide best in class search solutions across levels and sectors for our clients. Over time, the organization has built capability for headhunting and dedicated searches. Rize @ People Konnect Pvt Ltd. started as a work-from-home setup initially with a small team, opened office 3.5 years ago and is now a 25 woman strong organization operating from 4 locations. They are proud to be a woman organization with 70% being returning to career women. Anjali has been empowering women since the last six years through various initiatives by People Konnect. ‘Back To The Front’ is one such initiative that is serving the purpose of being commited to the cause of providing financial independence to women who are looking for employment opportunities. It is a platform for women trying to fulfill their ambition of being successful career women. Since last 1.5 years ‘Back to the Front’ has empowered hundreds of women across India and aims to double the number this year. The initative brings together women who are aspiring to discover their self-worth. Through this initiative, Anjali aims to spread awareness and provide guidance for meaningful career options be it full time, part time, project based assignments, contractual assignments or entreprenueral ventures. Many organizations today are struggling to tackle issues like “Gender Diversity”, “Inclusion of Women at the workplace” and “Talent shortage and attrition”. ‘Back To The Front’ initiative strives at fulfilling these requirements for the corporates in India. Mithali Raj born in Jodhpur, started to play cricket at a tender age of 10, gradually started playing for Railways in the domestic competition and by the age of 17, she was selected for the Indian Cricket team. She made her debut a golden debut by opening the innings and scoring 114 as India went on to win that match comfortably. 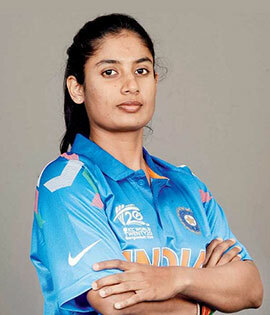 Mithali Raj is not only the captain of the Indian Women’s cricket team but has also received the honorary awards like Arjuna award in 2003 and the Padma Shri in 2015. Mithali Raj has authored a new chapter in the history Indian women’s cricket by becoming the only woman cricketer in the world to score 6000 runs in one day international cricket. She is the first player to score 7 consecutive 50s in ODIs.She has played 186 ODI matches for India with the record making total ODI score of 6190. With an average score of 51.58, she has 6 centuries and 49 half centuries in her name. She also held the record for the highest test score of 214 runs, in a women’s cricket match. Mithali is nicknamed "Tendulkar of Indian women's cricket", as she is currently the all-time leading run-scorer for India in all formats, including Tests, ODIs and T20Is. She is also the first female cricketer to win the Wisden India Cricketers of the Year recognition in April 2015. Mithali has grasped every opportunity she has been presented with – and impressed. She is a perfect example of a strong woman, leader, mentor who is an inspiration to millions. 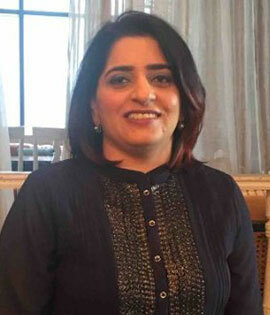 Tanuja Sodhi was amongst 22 ladies selected from all over India for the first batch of lady officers in the Indian Navy in 1992. After being exposed to a very physically rigorous life-style in the Indian Navy, Tanuja’s insatiable thirst for health and fitness led her to pursue a Fellowship in Applied Nutrition from Medvarsity Hyderabad in affiliation with Apollo Hospitals and a Reebok Certification in fitness. She is an MBA (HR) from Jamnalal Bajaj Institute of Management Studies, Mumbai. She did her schooling from Scindia School, Gwalior. She has a Master’s degree in English and has written a number of blogs on nutrition. She has also edited numerous books for the IT stalwart Vijay Mukhi. Today, she is a well-known diet and fitness consultant. 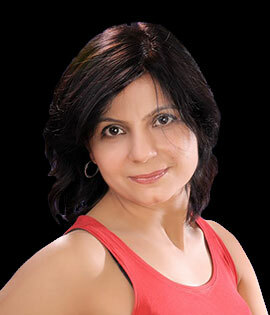 She has been conducting fitness training for over seven years at her fitness studio in Gurgaon. She was empanelled as a nutrition and wellness expert with Parentune.com, a pro-parent community. As a dietician/nutritionist, she has vast experience in handling cases such as child nutrition, obesity, hypo-thyroid, hyper-tension, anemia, etc. She provides customized diet plans based on the person’s life-style issues. She does not believe in fad diets. Instead, she helps people make life-style changes to follow life-long healthy diets. 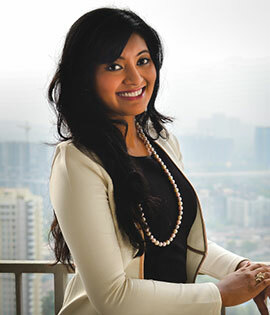 She has conducted workshops on nutrition and fitness at reputed organizations such as Nestle, Coca Cola, Airtel, Microsoft, JP Morgan Chase, etc. Greeshma is an MBA from Welingkar Institute of Management and a Certified Image Consultant trained by the Senior most Image Consultant internationally. She is a Master Trainer at the “Femina Believe Learning Academy” (A Times of India initiative) and associated with the Image Management Professionals Association (IMPA) as Vice President (Membership). 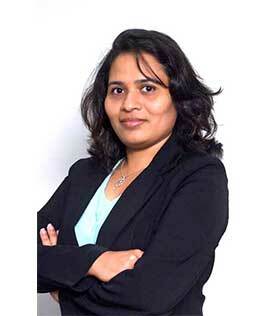 Prior to setting up the company, she has worked as an HR professional with an IT MNC. She has successfully designed and delivered quality corporate training programs for employees at various levels and across industries like Education, Banking & Finance, Media, Retail, Pharma, Manufacturing and Consulting. She has conducted training programs for companies like Boston Consulting Group, BNP Paribas, Deloitte, JM Financials, Religare Wealth Management, Johnson & Johnson, Reliance ADAG, Tata Group, Oberoi Group to name a few. By combining learning’s from management education, professional experience and people skills, she encourages people to reach their potential through Image Management. 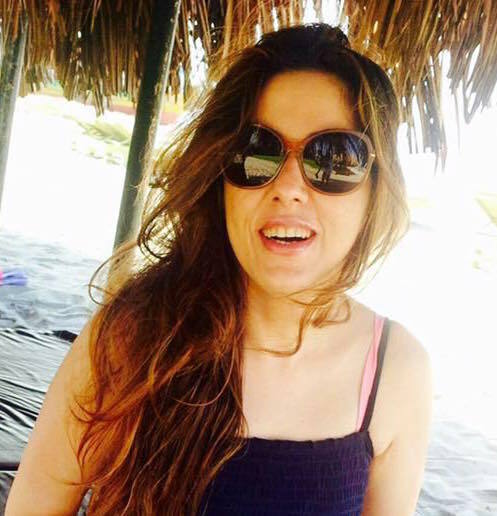 She has featured as an expert on dining etiquette on the first reality television show on image management in the world, “Image Banani Hai” on Zoom. She has also been interviewed on Radio City 91.1 and has featured in various national dailies like Times of India, Times Ascent, Bombay Times, DNA, The New Indian Express. Shipra Malhotra, author of books Calligraphy Made Easy (Basic) Vol 1 &Calligraphy Made Easy (advance) Vol 2 and a trained classical singer (Gwalior Gharana). involved in imparting Calligraphy lessons to teachers and other professionals. Honoured by NGO- SGI- 2014 in Japan contributed for Calligraphy and sung various songs for the same. Shri Sanjeev Kapoor (a leading Chef and author), says, ’A refreshing change in today’s digital age . A tarot reader for past 18 years, Shambhavi is a Bacherlors in Hotel Management & MBA in Marketing & HR. What started as a weekend pursuit of her passion turned out to be a full time profession 12 years ago, when she realised that the passion to be with cards was larger than, the lure of the pay check. Apart from being an accomplished Tarot Master, she is also a Certified Colour Therapist, with interests and mastery in Vaastu,Switchwords, Meditation, Doodle & Handwriting Analysis. Her prowess in different skills has been certified and recognised by many masters and institutes. She is a name to reckon with in the field of Tarot and now uses her skills to serve clientele including the who’s who of business and media fraternity, corporate houses to housewives, students and anyone who seeks her guidance.She has partnered with Climbing up the ladder of success I made partners with big brands like JW Marriott, Renaissance, Oakwoad and Out of the Blue- Powai , and corporate like Future group (Pantaloons), DLF, JLT , ORRA, Lavasa and L&T Realty to name a few. She is a part of the prestigious ELLE Carnival, held in Mumbai to raise funds for breast cancer patients and has been written about in their magazine. In 2016, she was awarded Grand Master in Tarot Prediction by Inspire where I was facilitated by actress Divya Dutta in NSCI Club Worli and also with a WOW Personality Award which is Winners of Worthiness, in Excellence in Tarot. Along with doing Tarot reading sessions,she regularly hosts educative workshops on topics ranging from colour therapy to Doodle to Vaastu and more imparting valuable information and knowledge to all in attendance at schools, corporate hubs, nature camps, social meets and other venues. Apart from her numerous speaking assignments on the science of Tarot, she also conducts Tarot learning classes for all those who are interested in pursuing the science of prediction along with developing intuitive skills and interpreting cards. Her work has been commended and covered by, both, national and local media and she has even contributed article to Bombay Times on “The Mysticism of Tarot” which garnered huge viewership. 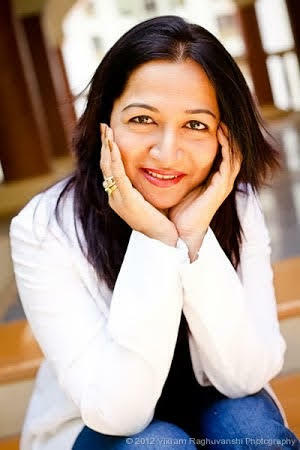 She has also written articles on Doodles – Can we Interpret Them, How would Aura and Space Cleansing help you?, Vastu – Key to Happiness, Promenade – Lifestyle exhibition and Colour Therapy for various publications. A qualified homoeopath(BHMS) by profession, but a holistic healer at heart.I believe in holistic approach towards handling any patient. So my line of treatment goes as per requirement combination of mind spa with homeopathic medicine, mindspa with sujok, homeopathic medicine with sujok therapy sessions. 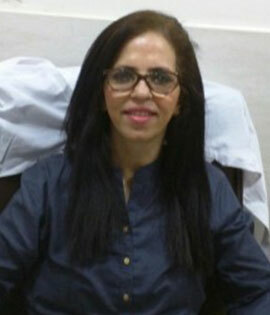 Dr Payal Advani’s clinic, is a Homeopathy clinic in Khar West, Mumbai. Sucheta Pal leads the country and the rest of South-East Asia officially as the Master Trainer (Zumba Education Specialist ZESTM)for Zumba® ,Miami and is credited for pioneering the brand in India and training over 3000 instructors in past three years alone in India,Indonesia, Oman, Maldives, Bangkok, Vietnam, Sri Lanka and Nepal after shifting base from the United States in 2012 . Her recent exclusive Zumba television series on ZOOM TV telecasted in March-April 2015 has created the much required buzz in India and she has been loved by the media as an inspiration story and idol for choosing an alternate career of a dance-fitness expert from being an engineer. TV series of Zoom, Channel V, NDTV Good Times and print media like Vogue ,Grazia , The Week -SmartLife ,Times of India and Hindustan Times have regularly featured her . She has been featured on several International Zumba DVDS, XBOX Games and Conventions of US, UK , France, Japan and South East Asia as the Presenter/ Lead Zumba Education Specialist ZESTM.In addition Sucheta Pal is an Optimum Nutrition Athlete and its first female Master trainer, one of its kind in the world. A trained dancer in Bharatnatyam and Indian folk dance, Riddhi Gupta is a choreographer by passion. She has been involved in the dance arts for over 2 decades. At the age of 16 years she received a full paid scholarship from the Terence Lewis Contemporary Dance Company for a training program in dance arts. In the year 2013, she choreographed the Broadway Musical and the debut show of The Lion King in India, Kerela with 600 performers including singers and a viewing audience of 5000 people. She is now a Masala Bhangra Ambassador training and mentoring several dance enthusiasts across the city and instilling in them a new fervour towards dance fitness. About a year ago, Riddhi launched a creative performing arts space for curating art, dance, theatre & fitness like never before. She launched House Of Wow. House Of Wow is not only a one of a kind concept space but is also a space that screams passion, devotion and love for the arts. Rakhee Vaswani is a celebrity chef, culinary expert,food consultant,teacher, author, cooking show host , entrepreneur, and above all, a food lover at heart.Certified by Le Cordon Bleu at Gordon Ramsay’s Tante Marie in London, Rakhee is touted to be the “Desi Nigella of India”. Over 2 decades of experience in the culinary business has led her to transform her venture- ” Palete Culinary Studio” to a state-of-the-art international cooking school training budding chefs, amateurs, professionals and food enthusiasts alike in a short span of time.Today, it is the first center to provide UK-certified Culinary Award Course in India.Currently she has more than 150 one-day cooking/baking workshops in her repertoire. 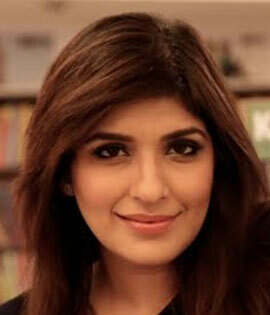 She is also a travel buff, a food blogger, and writes her reviews for various websites and her own website as well. She is the face of the many TV Shows- “Rewind with Rakhee” on Living FOODs, a TV Channel in India, where she presents her own take on classic recipes. Her other two shows- “Yummy Treats” and “I love cooking” are hugely popular and well received.She has authored a book called “Picky Eaters” which is targeted not only to kids but to anyone who thought it is a task to make healthy food tasty.She has many celebrity students to boast of- Malaika Arora Khan, Arjun Kapoor( For the movie “Ki and Ka”), Kriti Sanon, Radhika Mukherjee, Rakshanda Khan, Gauri Pradhan, Mansi Joshi Roy, Sunita Menon to name a few. She has recently been made the brand ambassador of Hershey’s in India and closely working with them to develop more recipes using their products.She believes in getting inspired to inspire further,learning sharing her know-how and relishing and pampering her palates forever. Global Leading Holistic Health Guru. Corporate Life Coach. Dr Mickey Mehta is a Global leading holistic health guru and Corporate life coach to billionaires, top Bollywood super stars, top supermodels (Miss World and Miss Universe), top politicians and members of the Maharashtra Police. He has a double honorary doctorate in holistic health and life sciences from International Medicina Alternativa, and has been a pioneer in promoting holistic health in India through radio and TV shows too. Mickey was invited to talk at Harvard University at the Inspire series in February 2017 and at IIT Mumbai in 2015. He has held holistic health workshops in Oman, Thailand, USA, Hong Kong, Dubai, Turkey and Sri Lanka. Dr Mickey Mehta is also a leading social media influencer in the health and wellness space.He has interwoven Zen, Tao, Tantra, Ved, Greek and many more philosophies to develop holistic health systems to self-heal, transform and transcend. His healing focuses on mingling with our five elements and skillfully balancing them. Throughout his 35-year-long career, he has striven to promote a disease-free world through his wellness commandants. Entered book of world records , " learn swimming in 24 hrs "
Promotor of equipment free workouts in India ( YO workout - HI ( Human Intelligence) , Where the human mind trains the human body. First columnist ever in India on wellness. First one to do thousands TV and radio shows on wellness in India. First all encompassing / 360° life coach of India. Kiran Manral was a journalist before she moved out to set up a content supply company during the first dot com boom. An erstwhile blogger, both her blogs were considered amongst India's top blogs and she was a Tehelka blogger columnist on gender issues. She was India Cultural Lead and Trendspotter with an US based Consumer Insights firm and is currently a senior consultant with a qualitative market research company. Her books include The Reluctant Detective (Westland, 2011), Once Upon A Crush (Leadstart, 2014), (All Aboard, Penguin, 2015), Karmic Kids: The Story of Parenting Nobody Told You (Hay House, 2015), The Face at the Window (Amaryllis, March 2016) and A Boy's Guide to Growing Up, (Juggernaut, July 2016). She is on the planning board of the Kumaon Literary Festival, Chair of the Women Unlimited Series of the Taj Colloquium, a mentor with Sheroes and is an advisor on the Board of Literature Studio, Delhi. She lives in Mumbai.